Delicious gourmet breakfasts are included with your stay. 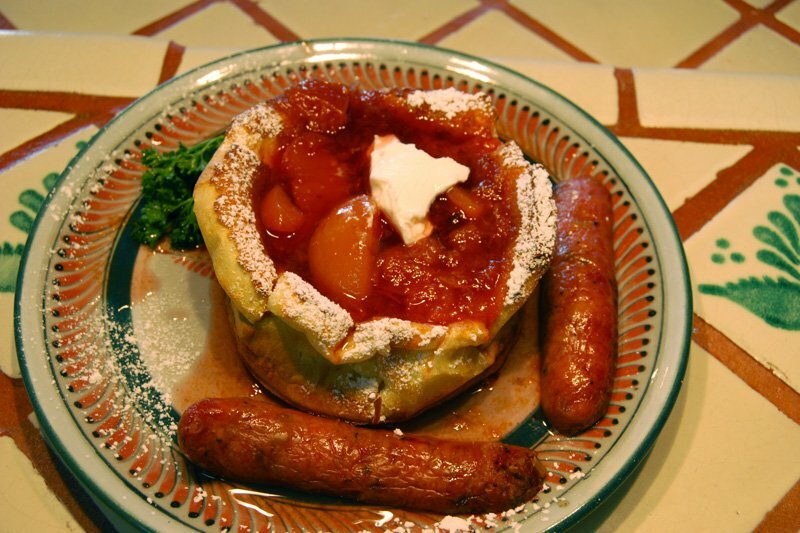 Breakfasts include fresh fruit, fresh-baked muffins, biscuits or other treats, and an entree egg dish and breakfast meats. We can tailor breakfasts to your dietary restrictions. We vary the breakfast menu each day so you get a new menu each morning of your stay. Fresh coffee (from a local roaster featuring shade grown/organic free trade coffees) and a wide variety of teas are available all day long. We also make fresh pies every day - so have a comfortable piece of pie and a cup of coffee/tea when you come back from a busy day of birding, hiking, biking, or shopping. Our Arizona bed and breakfast’s modern territorial hacienda is designed to evoke the traditional architecture of Spain and Mexico. 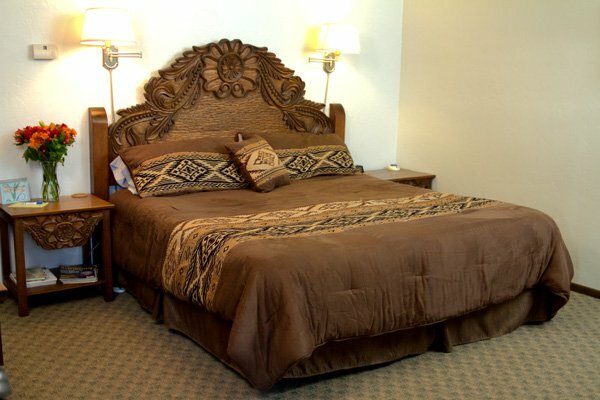 Mexican hardwood furnishings with hand carved embellishments add an elegant touch to the setting. 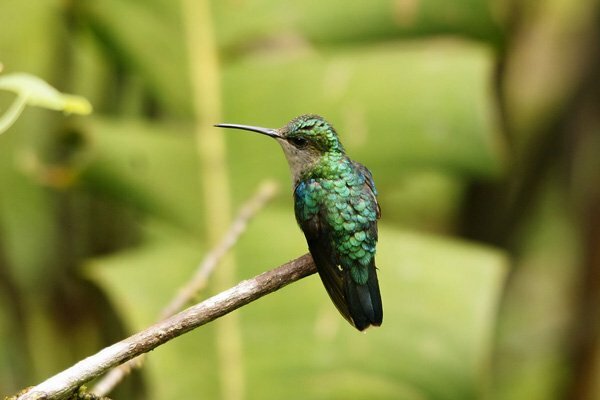 Casa de San Pedro is centrally located, permitting easy day trips to other birding “hot spots” such as Madera Canyon, Patagonia, Empire Cienega, Garden Canyon, Miller Canyon and Ramsey Canyon. "I wanted to write to tell you that the decision to stay at Casa de San Pedro made my hiking excursion to the Huachucas into one that will be a gold standard going forward. Our love of birds and the fact that it was near my birthday influenced our choice as we usually stay at whatever is in range of our target trails with AAA ratings. Casa de San Pedro far surpassed all our expectations. The location near the river, the courtyard with fountain and flowers, the delicious pies, your sumptuous breakfasts, I could go on and on..... So, thank you for welcoming us into your Casa, creating good memories for me and the best kind of birthday gift. Sincerely, Karen"